In the Bear Den, there are four general achievement groups: God, Country, Family, and Self. 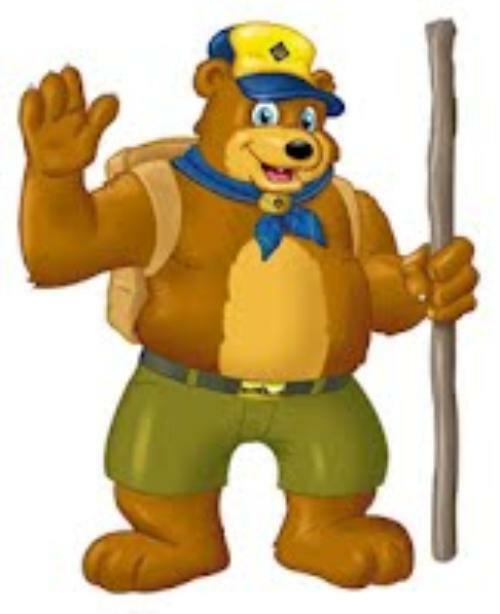 There are 120 achievement tasks and your Bear Scout must complete a certain number of achievements in each of the four groups to earn his Bear Badge. This year your son will grow in amazing ways. After earning his Bear Rank Badge, the scout may earn arrow points by completing additional achievement tasks. "Hi Bears and prospective Bears! Looking forward to a great year. When you have registered as a new Bear and have received and accepted your invitation to join Scoutlander, be sure to contact me using the Broadcast System. That way we can at least meet electronically and you can provide input and resources (for example, "my dad is a fireman and we can visit the firehouse") that can become part of our program plan. Our Den Meetings are on Scoutlander. We don't meet every week and not always at the same location, so be sure to check the scoutlander calendar for bear meeting info. Feel free to send me a message if you have questions." We are in desperate need for a leader or co-leader so please feel free to call or e-mail if you may be interested!! 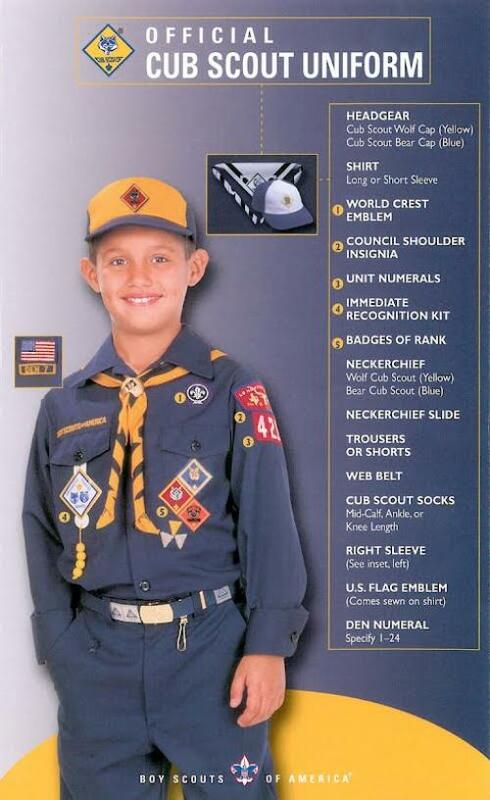 Wolf and Bear uniforms are the same except for the hat, neckerchief, neckerchief slide, and socks. *Size the shirt a little large as it should last until the following year.